You have the latest anti matter atomic blaster to instantly atomise space waste, unfortunately some larger bits will take several hits and you are only wearing a flimsy space suite so take care! You'll also need to watch out for the black & yellow automated clean up robots, these drones are pretty stupid and may mistake you for space junk so its best to get them before they get you. Space junk is man made rubbish that sits in orbit around our lovely little planet, it could be bits of old space craft or satellites, spanners, nuts and bolts, flecks of paint, there's even an astronaut's glove floating around up there. Well when we say “floating” its actually travelling at very high speed and could totally destroy anything it hits. And that's the problem, with over 250,000 bits of man made rubbish out there space junk is a very real threat to satellites, spacecraft, telecommunications not to mention TV, GPS, etc. which we all depend on. 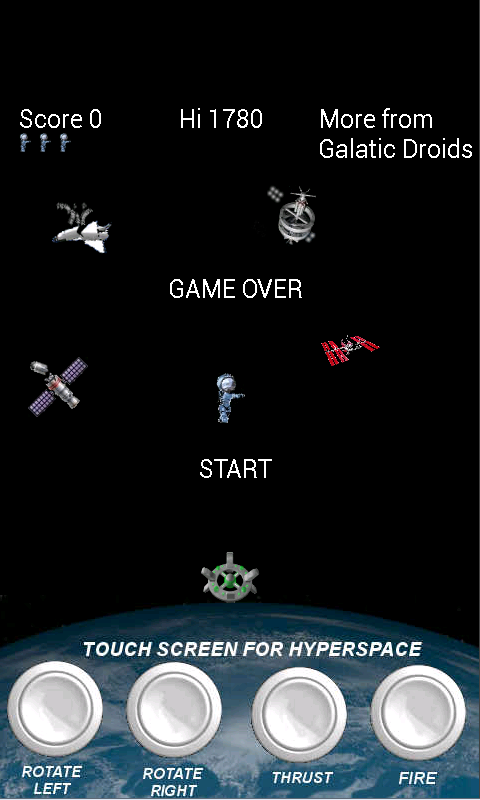 So do your part, download our little game, pop on your spacesuit and blast some of that Space Junk! 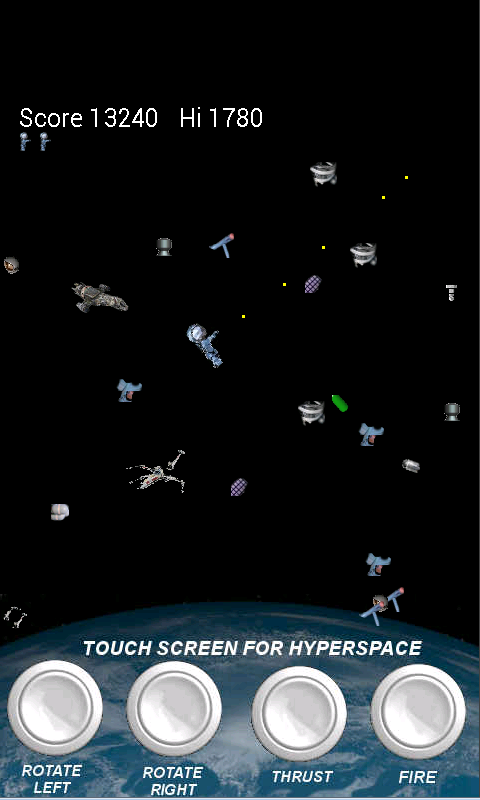 Space Junk, another FREE blast them up classic from the golden era of arcade gaming. 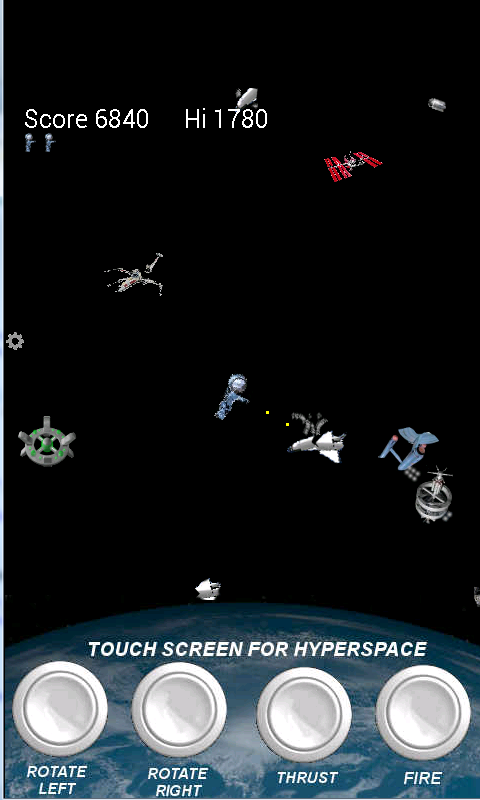 Don't get hit by Space Junk, it turns out in space they CAN hear you scream after all!